The reason of so many dangerous diseases are weak blood vessels, as well as their age changes. To help the heart to cope with daily stress, to protect yourself from stroke, it is necessary at a young age to begin to strengthen blood vessels. To improve the health of the cardiovascular system need to reconsider the lifestyle, eating habits, as well as to choose the optimum vitamin complex. Healthy cardiovascular system is key to good health. 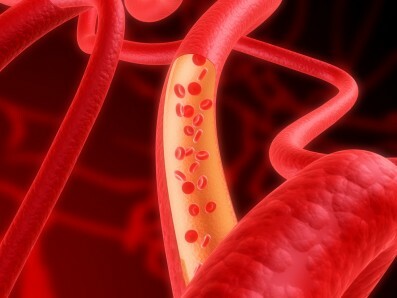 Debilitating effect on blood vessels has bad ecology, stresses, bad habits, chronic lack of sleep. Take vitamins for blood vessels doctors recommend starting in middle age, and the sooner a man or woman will select the drug, the better. The main feature sufficient health of the cardiovascular system is the elasticity, cleanness of vessels. To maintain them in this condition a person needs to consume vitamin complexes, containing need for vessels vitamins and minerals. Of the vessels of trace elements in addition copper, zinc, calcium, magnesium, omega fatty 3 acids. To find this composition quite simply, to make a choice in favor of expensive systems and affordable options. So, for the smoothness and elasticity of blood vessels, is responsible vitamin p. This substance is also called rutin. Vitamin P prevents the fragility and permeability of internal walls. Of course, to draw such a component can be from food, for example, from citrus fruits, rose hips, black currants and other berries. Necessary component for blood vessels is vitamin B5. This Pantothenic acid, deficiency of which occur spasms of the muscles. To strengthen the walls of blood vessels and are important in vitamin C. It maintains the level of iron in your blood at the proper level, in General, improves immunity. To strengthen blood vessels vitamin helps In that it keeps their tone at the proper level, reduces muscle weakness. Protects blood vessels from atherosclerosis vitamin A. Of the popular drugs that take to strengthen the blood vessels, can be called "Askorutin". It is necessary to drink a course lasting one month. The main components are vitamin e and C.
To replenish the first aid kit can "Troxerutin". This tool reduces the fragility of blood vessels, has anti-inflammatory action. To tone the walls of blood vessels helps and is the case with these. To choose vitamins for vascular and cardiac preferably after consultation with a specialist. Definitely read the instructions of the drug, with the possible exception of vitamin complex to cleanse the blood vessels, you will need and competently composed diet. 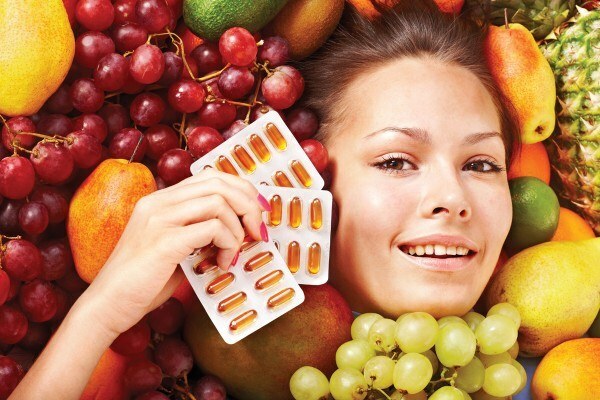 Remember about a balanced diet, because many of the vitamins can be obtained from food. For the modern man the eyes are the most active on. Reading, watching television, computer vision with such a load can not be degraded. Appears evening eye fatigue, bleeding, redness. This discomfort does not arise without special reasons. It is the result of the fact that eye muscles are strained and compressed together with blood vessels. For good work the eyes have to perform some fairly simple rules. Vessels of the eye is comparable to the muscles. If you don't train them, muscles weaken. Necessary moderate systematic training, exercises and gymnastics. 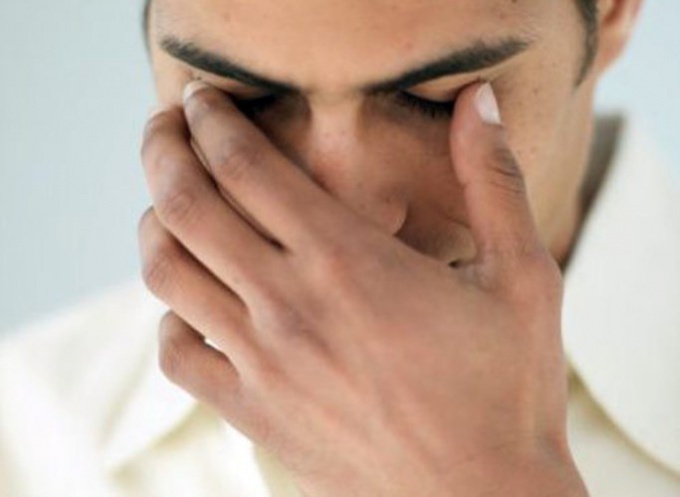 There is and eye exercises, designed primarily to relax eye muscles to relieve tension. This gradually strengthens and ocular vessels. Charging involves the rapid blinking and circular movements with the fingertips, during which it is necessary a little pressure on the closed eyelids. But before something to undertake, you must contact the doctor who will be able to offer a range of visual exercises. Drug use and ways of enhancing vessels in the eye. Of course, these drugs require a prescription, so, turning to the optometrist about the eye program, gymnasts can offer the necessary drugs. If your doctor feels that you need medication, he will prescribe the right prescription. Do not forget about healthy lifestyle. You need time for a rest (at least eight hours of sleep). Vegetables and fruits should regularly appear in the diet. Food include carrots. This does not mean that you need to eat only her, do not overdo it! But once in a few days be sure to add it to their menu. The absence of a strong stress and nervous breakdowns will certainly benefit. Not superfluous to drink a course of vitamins and ascorbic acid. More walk on the street and fewer sitting at the computer or TV. Remember, the less you will strain your eyes, the easier and faster will be the treatment. Weak blood vessels in medical language called neurocirculatory dystonia. Not always the cause of the disease are problems inside the human body. Often to improve the condition of blood vessels contributes to positive attitude for recovery. When poor condition of the vascular system, the people feel weakness, unstable blood pressure, poorly tolerated heat, cold hands and feet, sometimes palpitations, and aching joints. It's all very unpleasant, but to deal with these conditions. Do not succumb to depression, take yourself in hand, and it worked. Neurocirculatory dystonia is considered a neurosis. Most people suffering from this form of the disease, are pessimists and skeptics. Want to have healthy blood vessels – change in nature, try to see the beauty of the world, tune in to positive emotions. How you treat the world, depends on your health, think about it. Do not let such qualities as jealousy, fear and doubt to seize your heart. The water will help to strengthen blood vessels. In the morning take a contrast shower, get a positive mood for the whole day. Evening shower will help to remove tiredness and sleep well. It is also useful from time to time to do a contrast foot bath. Visit the bath or sauna will also give a positive result in improving the condition of the vessel. Visit a bath at least 2-4 times a month. Regular exercise, get in the gym, help to heal the vessels, if one follows the rule not to be overloaded, and do little but daily. As for diet, when the weak vessels do not overeat. 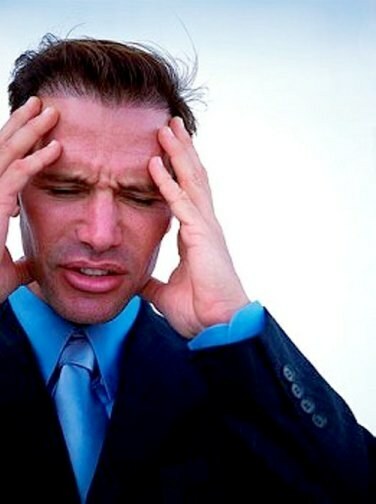 The overflow of the stomach causes weakness and dizziness. To eat better in small portions, and you need to drink a lot of, otherwise, blood would not circulate normally. There is a perception that coffee increases the tone of blood vessels. Everything is good in moderation, drink coffee, but little and not often. Fruits and vegetables are beneficial for people who dream to strengthen the vascular system, with the exception of bananas, they can lower blood pressure. Enough sleep can restore good health of blood vessels, try to get some sleep and time to relax. Many serious diseases begin with diseases of vessels, their age changes. Narrowing, loss of elasticity of blood vessels plays a major role in the emergence of diseases such as hypertension, atherosclerosis, varicose veins, thrombophlebitis, trophic ulcers and infectious disease of the Rhine. Insidious vascular disorders is that people feel the deterioration of health in the later stages of development. To determine the condition of the vessel allow radiological and ultrasonic methods of research. The use of techniques with the introduction of the radiopaque solutions, which are administered in peripheral or Central blood vessels. Due to the coronary angiography reveals location and degree of atherosclerotic damage of arteries in the heart. One tool that can improve the work of blood vessels does not exist. A comprehensive approach is necessary to solving this problem. First and foremost, it is necessary to organize proper nutrition. Include in your diet to 50% fresh vegetables and past a mild heat treatment in a 1:1 ratio, 25% fruits, 5% - vegetable oil 10% - animal proteins (eggs, boiled meat, fish, cheese, dairy products). Eliminate foods that contain high amount of saturated fat: cream, butter, sour cream, condensed milk, cheese, fats, margarine, fatty meats, etc. Avoid drinks like Coca-Cola, coffee, alcoholic beverages. Smoking is particularly dangerous for vessels. To strengthen blood vessels, while continuing to lead a sedentary lifestyle, will not work. Physical exercise, walking, swimming, daily walks at a good pace for at least an hour – is able to fill the shortage of physical exertion, which need blood vessels. An important tool for training vessels are water treatments. It can be as wiping, pouring, and sauna or contrast shower. Pamper yourself with herbal baths or turpentine at Salmanovo. Turpentine baths are considered to be particularly effective in the prevention of diseases of the blood vessels and prevent their aging. Extremely useful treatments with a broom. Besom massage is a real exercise for the capillaries. Be sure to include folk remedies strengthen the blood vessels and their cleansing, that will be a reliable prevention of atherosclerosis, heart attacks and strokes. Prepare a tincture Sophora japonica, which removes organic salt deposits on the inner walls of blood vessels and purifies the blood. Pour half a liter of vodka, 50 grams of flowers or fruits of Sophora. Insisting for months in a dark place, filter. Take a teaspoon three times a day half an hour before meals. Skip peeled clove of garlic through chesnokodavilku, pour a glass of curdled milk for the night. Drink during the day, 50-60 grams at a time. The course – 3-4 weeks. The treatment can be repeated after 3 months. Learn not only to work but also to relax. Sleep at least 8 hours a day. Avoid stressful situations, don't be pessimists and skeptics. Following these simple rules, we can forget about the many very serious diseases. Don't forget to massage the fingers of Professor Umansky, Tibetan massage, foot massage prickly Mat, applikatorom Kuznetsova et al. For a normal, healthy person is extremely important to have strong vascular walls. Strengthening of the vascular walls is an effective prevention of cardiovascular diseases, such as varicose veins, atherosclerosis and hypertension. One of the measures to strengthen the walls of blood vessels is the continued inclusion in the daily diet of foods, the richest substances that can improve and strengthen the cardiovascular system. The most important substance for maintaining healthy blood vessels: vitamin C, vitamin P - rutin, vitamin PP - nicotinic acid, vitamin E.
Vitamin C strengthens blood vessels and their elasticity, has the ability to reduce the level of harmful cholesterol in the blood to normal value. Foods that are richest in vitamin C - rosehips, red and black currants, sea buckthorn, herbs, bell peppers. Rutin another name for vitamin e - effectively strengthens capillaries and reduces permeability of blood vessels and makes them more elastic. Rutin is largely contained in foods such as all citrus, black currant, cowberry, cranberry, sea buckthorn, Aronia. Vitamin C and rutin similar in its effect on the human body and reinforce each other. Therefore, such a pharmaceutical preparation as ascorutin, effective for strengthening the vascular walls of the veins and decreasing capillary fragility. Another name of the substance is nicotinic acid. This vitamin has a beneficial effect on blood vessels and heart. As well as vitamin C, lowers cholesterol level in the blood. The maximum quantity of this vitamin include the following products: meat, poultry, liver, fish, eggs, sunflower seeds. Vitamin E essential for maintaining the vessels in good shape. The main source of this vitamin is vegetable oils: corn, sunflower and cotton. We must remember that when heated, the vitamin E is destroyed. Use vegetable oil in its raw form. These substances are most significant for the formation of healthy blood vessels. But for the proper functioning of the cardiovascular system requires a large number of different substances, so food has to be healthy and balanced. Basically what you need to know the abundance of animal fats in the diet can significantly undermine the health of the cardiovascular system. Therefore, the amount of fatty foods of animal origin in the daily menu should be reduced to a minimum. The diet is useful for vessels, fish, seafood, vegetables and fruits.